With times tight for so many and our food bills so high I wondered if there was anything to be learnt from the 1940's and 50's about making our food go further. Rationing during the Second World War meant that wasting food was not only considered unpatriotic (posters of the time declared "Wasted Food is Another Ship Lost") it was also illegal. The Merchant navy risked their lives to bring food across the Atlantic so what little got through was very precious. 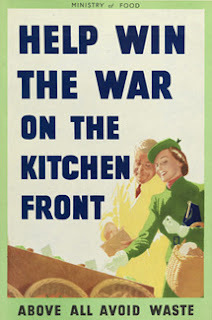 Unsurprisingly Women cooking throughout this era really had to make what they brought earn its keep. 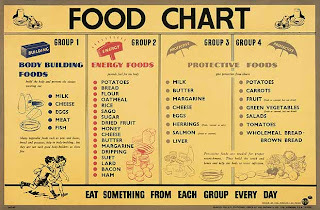 The Ministry of food provided leaflets and books at the time full of tips on how to make meagre supplies go further. 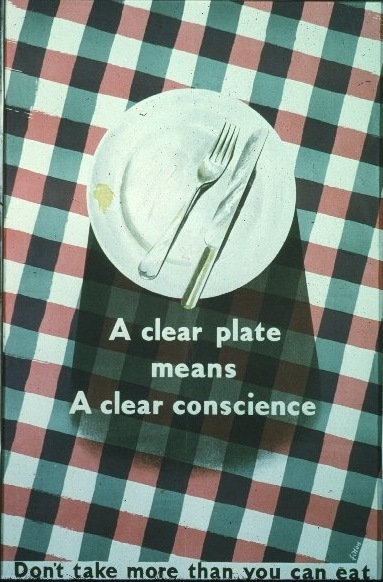 The basic principle was to use food wisely and certainly not to waste it like a "Squander Bug" a cartoon used by government to encourage thrift. Much of the advice given to those wartime families can help us keep our food bills low today. 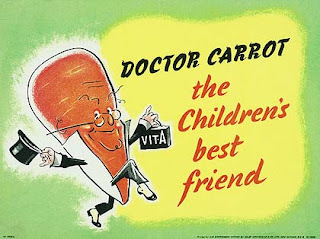 As meat was scarce having more vegetable based dishes was an inexpensive way to keep families full. The children’s characters "Dr Carrot" and "Potato Pete" encouraged little ones to view vegetables as tasty alternatives to sweets and the tradition of having meat with every meal was for a time unachievable. Reducing the amount of meat you eat and replacing it with vegetable based dishes is still a great way to cut your food bill whilst ensuring your family stay healthy. 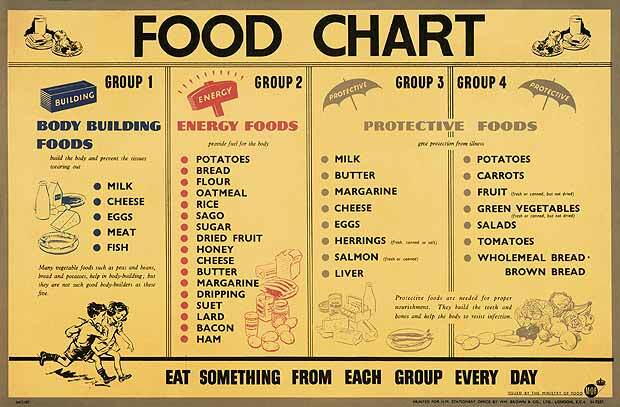 As a nation we have never been healthier than during the second world war and the years of rationing which followed and the change to a predominately vegetable based diet had a lot to do with that. If you are someone who feels a meal is incomplete without meat it can take some readjusting so introduce your vegetable bases dishes slowly with just a few in each weeks menu plan. Beginning with more hearty dishes such as spaghetti bolognaise and chilli made with meat substitutes may ensure it’s less of a shock to your taste buds. You will be surprised at how quickly you can adapt your culinary expectations and by buying inexpensive seasonal veg and working them into recipes how much lower your monthly food bill will be. 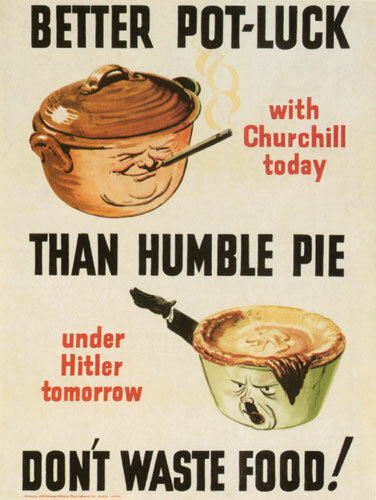 Recipes issued by the Ministry of food to wartime housewives still hold up today. 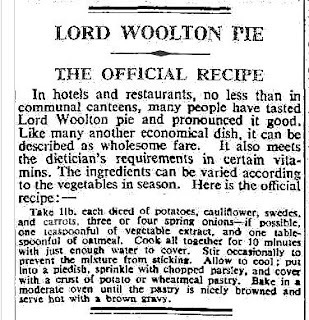 They included classics such as cauliflower cheese and the infamous Woolton Pie Created by the Chef of the Savoy hotel and named after Lord Woolton, head of the Ministry Of Food. 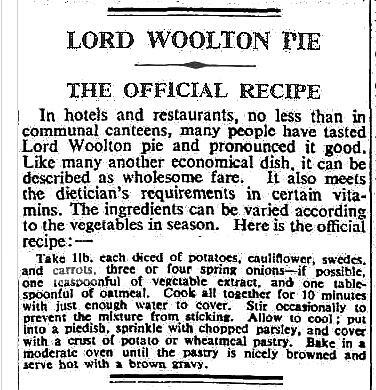 As the recipe shows it’s still a tasty alternative to meat pie. Spoon into a pie dish, sprinkle with chopped parsley. Cover with a crust of potatoes or wholemeal pastry. Bake in a moderate oven until golden brown. Serve hot with gravy. 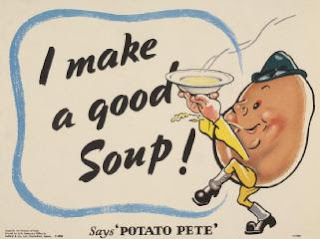 Modern cooks have a great weapon in the war against waste, the like of which the wartime homemaker could only have dreamt about. I’m talking of course about the freezer. If you are watching the pennies then the freezer should become your new best friend. Freeze leftovers so you have enough for a second meal. Tupperware may not be the sexiest of kitchen storage but it will save you a fortune. Don’t just use your freezer for pre-cooked goods either. If you don’t use up a whole loaf before it gets stale split the bread and put half away, if you have a glut of soft fruits from the garden or make a huge vat of soup-freeze it. Your freezer will be an absolute godsend when you get to the end of the month and are waiting for payday. The saying "Haste Makes Waste" could have been invented for the take out sandwich. Paying over the odds for something you can bring in from home makes no economical sense regardless of what era you live in. If mornings are too rushed, prepare something the night before. 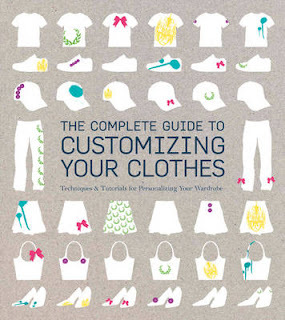 You can apply this approach to other outings as well. Buy popcorn from the supermarket and avoid paying over the odds at the cinema (or make your own-its so easy and very cheep) If you eat out find restaurants which allow you to take your own wine (home brew even the better) It can be difficult to overcome the feeling that this is stingy or petty but if you can overcome the modern aversion to sensible spending you will have more disposable income and less debt. Yet again it seems we can learn something from our grandparents generation to help us navigate the choppy waters of recession. 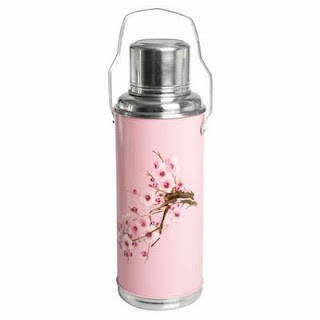 What old fashioned tips do you use to keep bills down? If you fancy getting your hands on a copy I have two to give away. Leave a comment on Wednesdays post and join my blog if you haven't already. The winner will be announced on the 4th of April..